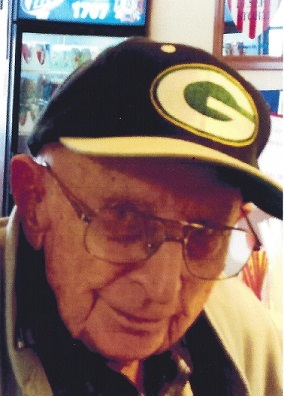 PORTAGE – Harold W. “Red” Henderson, age 100, passed away Friday, January 25, 2019, just 43 days short of his 101st birthday, at Columbia Health Care Center, Wyocena, where he had resided since January 7th. He was born March 9, 1918, in Ft. Winnebago Township to George and Mildred (Fish) Henderson. Harold left home as a teenager to join the Civilian Conservation Corps, working in the Necedah area. He enlisted in WWII in October 1940—serving in the South Pacific Theatre—earning numerous medals and citations, reaching the rank of Sergeant, while becoming a telephone and telegraph lineman specialist, and was honorably discharged in August of 1945. He is a member of VFW Post 1707, Portage. He is survived by 2 children, Jean (Scott) Oren and Susan (Larry) Goodman; daughter-in-law Carol Henderson; son-in-law Al Gilbertson; and a brother Dayton (Duke) Henderson, all of Portage. He is further survived by 6 grandchildren, Stephanie Genrich; Angie (Donavan) Dittberner; Randi (Thad) Biech; Melissa Goodman; Stephen (Amanda) Henderson II and Lee Henderson (Tina Ladron); 3 great-grandchildren, August Dittberner (Joseph Walkowski); Stevie LaPointe (Ben Brimmer) and Mason Biech, and one great-great-grandchild (expected June 2019). He was preceded in death by his parents, his wife and 2 children, Jane and Stephen, his brothers Gordon and Merton, and a son-in-law, David Kotula. The family would like to thank the staff on Evergreen Wing for their genuine and compassionate care in Red’s final days, along with Natalie, Kim and the great staff from Agrace. In lieu of flowers, memorials to Agrace Hospice or the charity of your choice are appreciated. 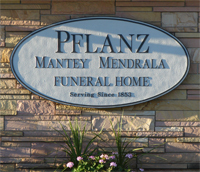 A memorial service will be held at 11:00 a.m. on Saturday, February 9, at Pflanz Mantey Mendrala Funeral Home in Portage with Pastor David Hankins presiding. Military honors will be provided by the Portage Area Veterans Honor Guard. Visitation will be from 9:30 a.m. until the time of service.